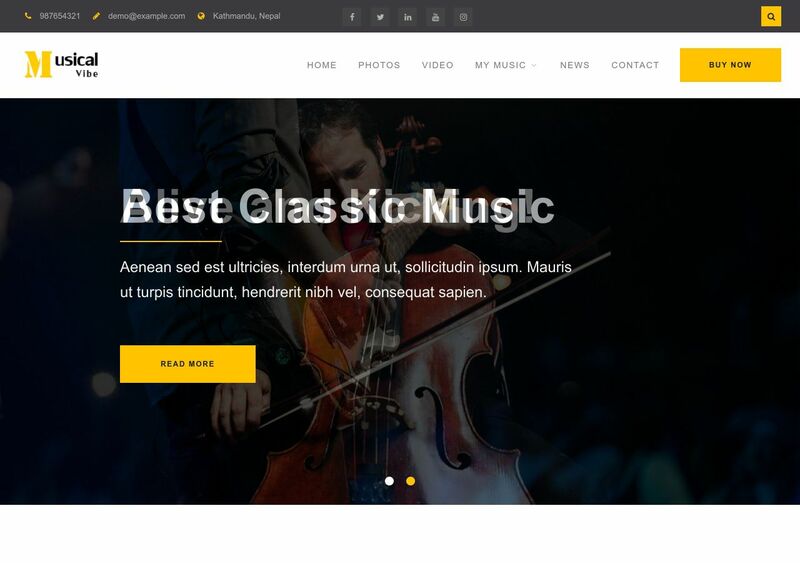 Musical Vibe is a fresh, mobile-responsive theme for the WordPress platform. It’s designed for musicians, bands, and otherwise individuals who are passionate about music! Created to suit people with least amount of experience, Musical Vibe is surprisingly simple to use, and delivers a pleasant user experience. If you want to add photos, videos, or galleries from your latest shows; the tools to do so are provided inside the theme. But, if your plan is to talk about band members or share stories from being on the road; the tools to achieve this result are at your disposal. Speaking of design, it’s a mix between corporate hierarchy (good for business) and flexibility for artists who have a knack for expressing themselves.